Focus bracketing is becoming more popular with the advancements in digital camera gear. Is it worth taking the time to do this technique, or just stop down to increase your depth of field? Well, it all depends. 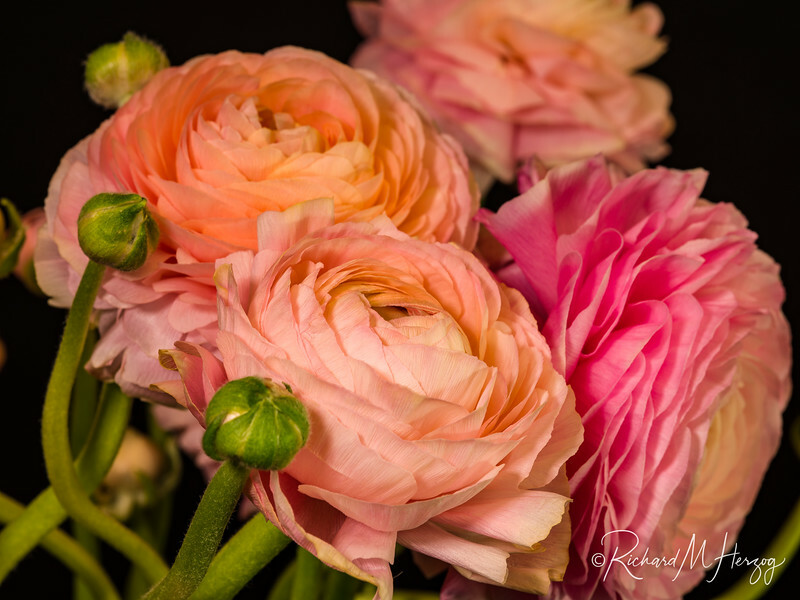 If you are looking for a tack sharp image that your equipment is capable of producing, then the answer is yes to using focus bracketing, and it is definitely worth the effort. The challenge is that when shooting certain items, your technique is critical such as in macro imaging where no movement is a must. When doing landscapes, movement can be adjusted (possibly) in post production. 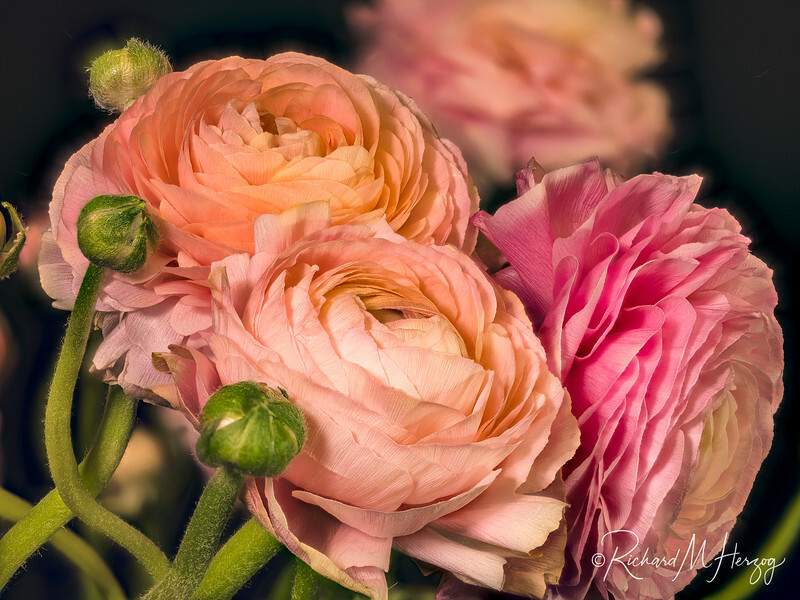 Below is an image of a group of flowers shot at f22, one stop from closing all the way down on this 120mm macro lens on a Fuji GFX. On the back of the camera, the image looks great, but on a screen when inspecting the areas in focus, the depth of field at f22 is still shallow. Now the second image (below). This image is 140 individual images shot at f4 and then blended together with Helicon Focus software. This takes a lot more time, both to shoot, then process the images from Lightroom into TIFFs, then importing the images into Helicon Focus and then to render the final merged image. The detail that can be achieved with this method is amazing makes the image pop. As a final image, here is a comparison of the f22 image (on the left) and the FB (focus bracketed) image (on the right) magnified at 100% in the same area. Have a UV backup filter in your bag! Why always have a spare UV filter in your bag? Because you never know when you will need it. I was shooting a waterfall and the wind changed direction. I quickly covered my camera and put on a UV filter to protect the front element. Today’s front element’s coating are tough, but sometimes you need extra protection since really good glass is expensive. For shooting waterfalls, a windy - dusty environment, a UV filter is great insurance. That being said, it you purchase an expensive lens, don't purchase an inexpensive filter. Using poor filter glass on your lens will degrade your image quality. I use Heliopan filters, but there are other brands of similar high end filters. Filter holders for small glass lenses! I have tried so many filter holders and get frustrated at the size bulk of the holders. Either they are too large for my Leica M filters, hold too many or not enough filters. And if one of the filters is thicker than a standard filter, perhaps a variable ND or polarizer, then the filter are too tight in the holder. Now, the filter holders I’m using are SanDisk CF card holders that came free with each of the CF memory cards that I purchased in the past. They are the perfect size for 48mm or 52mm filters. I label each holder using a piece of grey gaffers tape and a black sharpie marker. 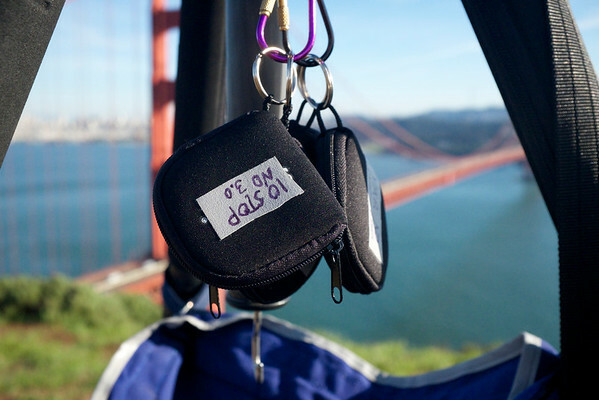 I then put the label on so that I can read the label looking down, since I sometimes have them hanging from the center post of my tripod or on a carabiner on my belt. I decided I needed something to shoot images of items I want to sell on eBay and Craigs list, but didn’t want to sink a lot of money into purchasing a pre-made lightboth unit. Having a light booth would give me a controlled environment to produce professional looking images, that might help me sell my items faster and for more money, instead of placing them on furniture or the floor. Having a light booth producing diffused light gives you many options to controlling professional looking lighting. Since I’m using this at home, I’m not concerned with it's unprofessional look, or that it's not very portable. If you are shooting on location and need a professional looking portable light booth, then purchasing a professional portable unit would be worth the investment. The items I used to make my light booth and where I purchased the supplies: - Plain corrugated box - mine is 26” wide x 21” high x 16” deep (from an Amazon purchase) - Translucent / velum paper (The Kelly Paper store) - Neutral grey paper ( The Kelly Paper store) - Packing tape (Costco) - Sharp knife and straight edge (Home Depot / Lowes) The basic method: - Cut off the top flaps of the box. - Set the folded box the way you are going to shoot into the box on a table. - You’re going to cut out a hole in the top and both sides of the box. - With a straight edge and pencil, draw out the holes your going to cut, keep the cut outs about 1 to 1-½ inches away from the sides and corners. - Cut out your 3 openings, the top and both sides. - You are now going to tape the velum paper coving the 3 opening. Measure and cut the paper, so that the paper is larger that the opening, but doesn’t go all the way to the sides, so that there’s room for tape. - The last step, is to fit the grey "backdrop" paper to the back and top of the inside of the light booth. You now have a “seamless” background for small product shots. You have many options for shooting without any additional lighting. Shooting during the day, you can take your light booth outside or if it’s raining, put your light booth on a table by a window. The translucent paper opposite the window acts like a reflector and fill in board. 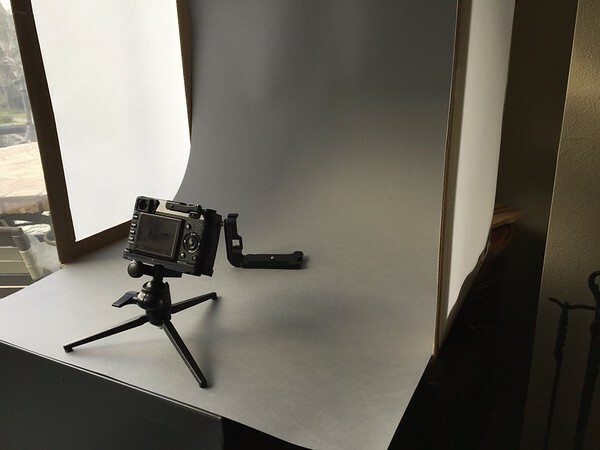 By just turning the light booth box, you can change your lighting ratio to optimize the lighting needed for your product shot. Neutral density filters for long exposures. Creating softness and motion in your images takes patience, some special equipment, and a practiced technique. 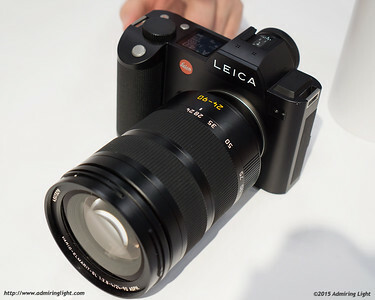 With my new Leica M-P and 50mm f1.4 Summilux in hand, I’ll show you how. A steady tripod is a must, since the exposures will be long, too long to hand hold. 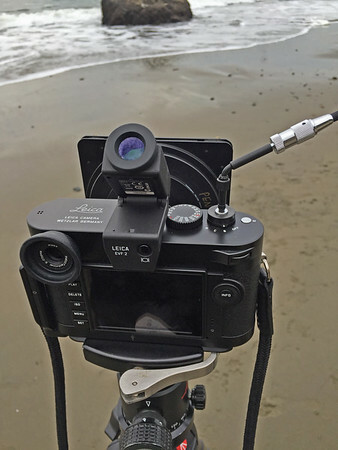 The use of a cable release is optional if your camera has an electronic timer. Either one will work, but the cable release will trip the shutter right away, and the camera timer has a delayed release. Now, set your ISO to the lowest possible setting. This will help you achieve a longer exposure. On the Leica M-P, the lowest native ISO setting is 200, so you will probably want to change it to ISO 100, which is listed as 100-pull in the camera settings. This will also produce a slight decrease in contrast. Now for your f-stop setting, well that’s your choice, depending on your lens to achieve optimal sharpness. But using an f-stop such as f8 or f11 is a good place to start. If it's daytime and bright outside, and you choose to use a large lens opening, like f2, then you're going to have a more difficult time getting a long exposure time. Calculating the correct exposure can be done in a number of ways. My method, using a handheld Sekonic L-758DR Digital Master light meter, is as follows: First I determine a standard exposure with no filter factor, then depending which filter I use, I calculate the adjusted exposure with the filter compensation. My preference is either a 14 stop ND, or a 10 stop ND. My 14 stop ND 4x4 glass filter is from Formatt Hitech, and my 10 stop ND is from Heliopan (screw in type). These are my two main "go to" filters for this type of work. Of course you can see what the captured image looks like on the back of the camera, but since camera back screens are not calibrated, it’s best to take a number of images, both over and under exposed. 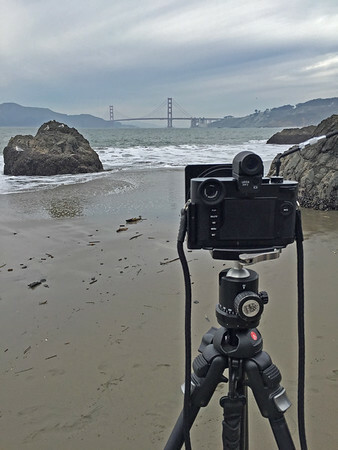 Here is a faster method for calculation the exposure needed when using a ND filter. I take an exposure reading with the camera's meter set at the f stop I'm going to use. Then, I use an application on my iPhone called, "LongTime". With this app, I enter in the shutter speed of the normal exposure and the ND filter I'm using. The app will calculate what the new shutter speed will be with the ND filter. 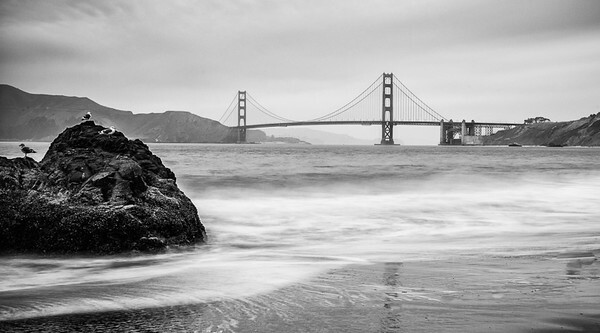 In the B&W image on the left, I used the 14 stop 4x4 glass filter, on my Leica M-P. It was held in place with a Heliopan glass filter holder and Heliopan setup rings attached to the 50mm lens. Because the large filter holder gets in the way of the viewfinder, I used the Leica EVF-2 electronic viewfinder as well as live view on the back camera screen. As a pro photographer, we have been using a DSLR style camera, film and then digital over the years. When the digital DSLR was designed, they basically took out the film chamber and added a digital capture chip, electronics and battery. The design and bulk of the body and lenses stayed very similar to film, and perhaps, even increased in size. After using digital point and shoots for years, we kept asking, why can’t I get this in a full frame body with all of the pro’s bell and whistles (like a digital viewfinder)? Well now, finally we can. I would hope that I would be mentioning Canon or Nikon are leading the field of these cameras, but they are both playing catchup and are very far behind. 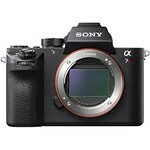 Being very comfortable in their old product lineup of DSLRs, they are now only starting to see that many photographers are deciding not to go the “old” way, and current pros are deciding if they should change their lineup (depending on their main line of photography business). But every digital camera has an "Achilles heal". The sensor in a DSLR, has a lowpass (blurring) filter attached. It's main purpose is to reduce "moire" that occurs is some clothing patterns. The process that Nikon and Canon don't tell you, is that the image capture (even RAW captures) are blurred, then sharpened in the camera. There is a digital capture "rule" that every digital image needs to be sharpened, and this is why. The low pass filter over your camera's sensor, softens the image a little to reduce moire. Not having the lowpass filter is a dream for commercial photography. Now images are super sharp without any additional sharpening. 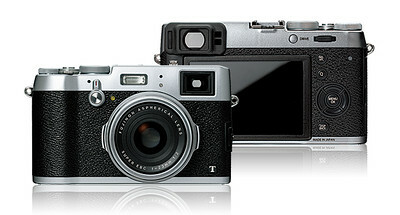 Leica and Fuji have no low pass filter and their images are naturally super sharp. 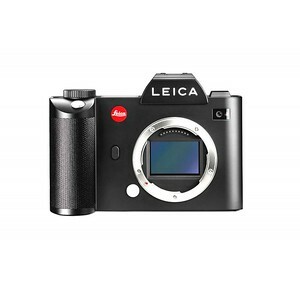 Leica was the first to produce cameras with NO blurring filter over the sensor. 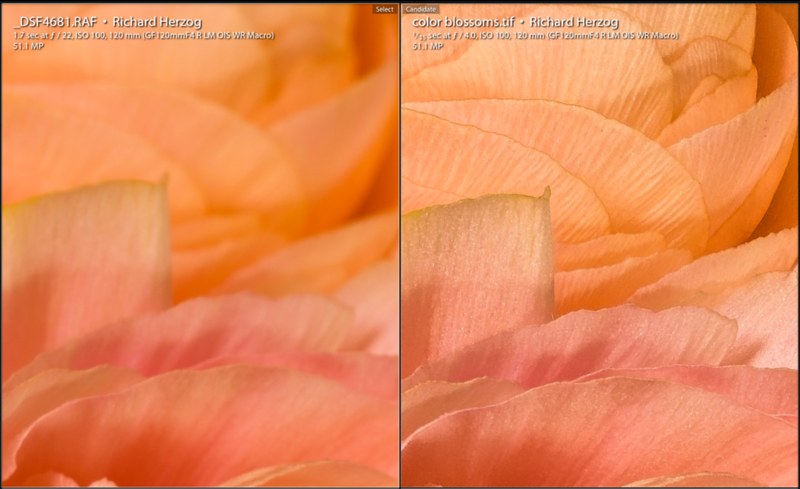 Fuji has changed the layout of the color filters over the pixels to reduce moiré and eliminated the low pass filter. There are pros and cons to both systems, and we will discuss them on another post. Fast lens switching on the go! Fast lens switching on the go. You have a hip bag and need to switch your lens, but don't have time to put your rear lens cap on. What to do! Shooting fast at an event, means being able to change lenses quickly. Lens pouches and waist bags have a nice silk bottom with very little padding, but that's about it. When you spend over $2000 on a lens, keeping the bottom of the lens in great condition is very, very important. Not only protecting the mounting ring, but more important is the rear lens element and the electronic contacts. It is very important to keep these parts very clean, and dropping your lens in a pouch can be precarious. So here's my solution. First, go to tempurpedic.com and request a FREE sample of their mattress product. They will send you a piece that's about 3"x3" and 1" thick. This material is a perfect dense foam with some memory and give, and it's the perfect "cushion" for a lens. Next step, is covering for the "lens pillow". 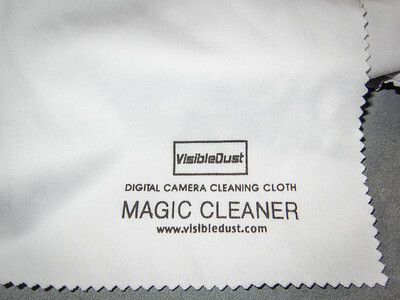 I have found, that from all of the lens cloths available, the best one is the Visible Dust Magic Cleaner visibledust.com. 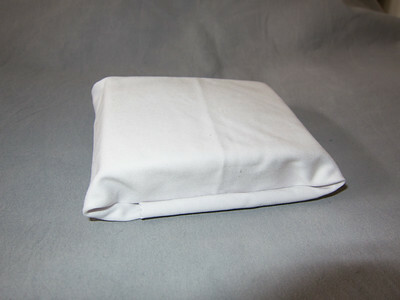 This cloth is large, and will wrap around the foam with extra cloth to spare. 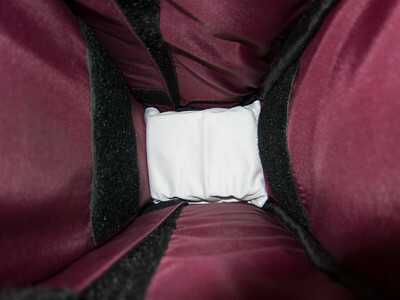 After you wrap the tempurpedic foam block with the lens cloth, insert it into the bottom of your pouch. Now, when you "drop" your lens into your pouch, rear element down with no lens cap on, you will have no reservations that the bottom of your lens is 100% safe, without a rear lens cap! Do you need a battery backup like an APC? As portable computers become more and more powerful, only a powerful surge suppressor is necessary. Any "tower" (Mac Pro and iMac) must be plugged into a battery backup (like models from APC - America Power Conversion). Regardless of where you are in the country, there is always a chance of the power going out, even for a second, that will corrupt the file you're working on and data loss is inevitable. If you use an iMac or MacPro, not only should the Mac be plugged into the battery backup, but also one of your monitors (for the MacPro, the main monitor). This is so when your power goes out, you can see your main screen as you save and shutdown your computer until the power goes back on. Not that you can't plug all your monitors into a battery backup, but that means you will need a larger battery backup device. Your battery backup should definitely have your external hard drives that require AC plugged into it. Be aware that many battery backup units have only some plugs for battery backup, and some that are for surge suppression only.